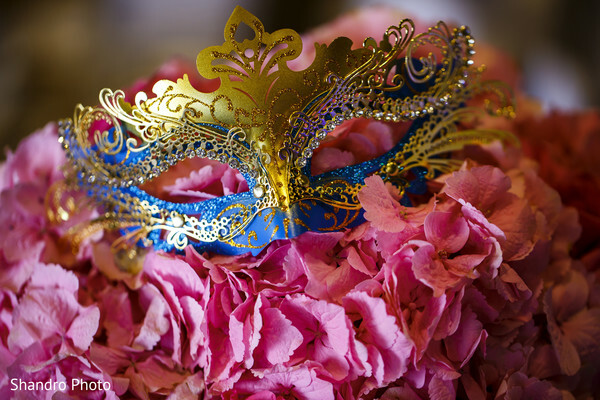 Grab your masks because you are invited to Jaskreet and Harjot's masquerade ball-themed reception at the Shaw Conference Centre in Canada! 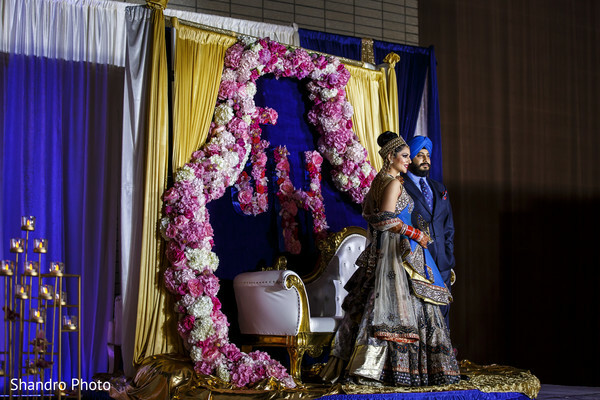 With the help of Dress My Day, our twinkling twosome was able to have their wedding vision come to life! 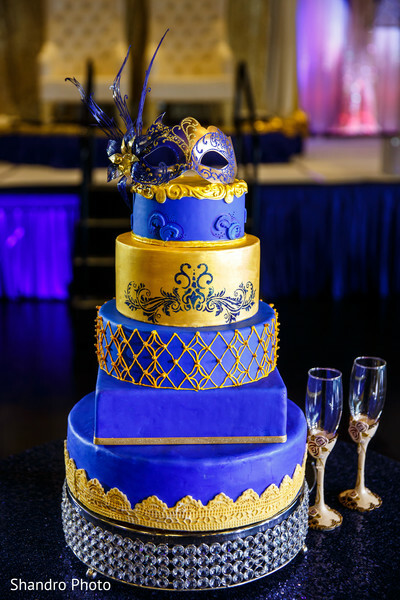 Ever detail— from the floral arrangements by Fabloomosity, to the draping by M Wedding & Events, to the wedding cake by Cakes by Geeta— is divine! To add a more personal and sentimental touch, our Maharani's father hand-made the sweetheart stage! What a thoughtful gesture! Shandro Photo catches up with our newlyweds on the dance floor as they celebrate their special day with family and friends! Catch every single moment of this awe-inspiring affair in the gallery! 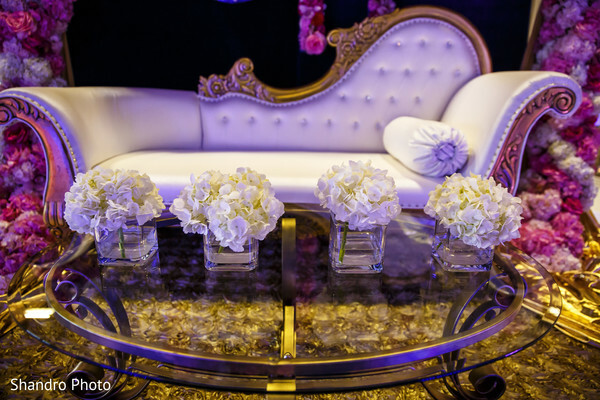 "My entire family helped with details that made each event special. 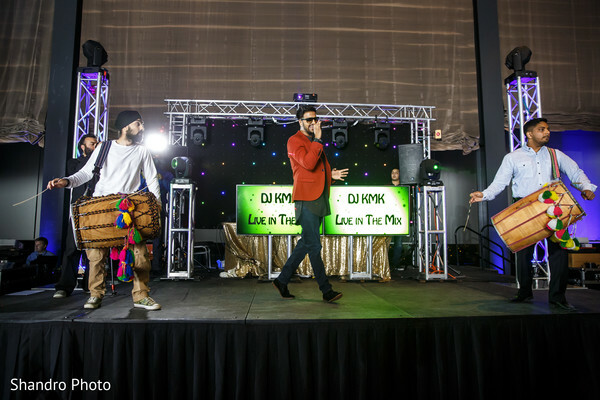 I had PBN and DJ Kalish flown from the UK which my cousin Jasdeep and my younger brother Sukhwinder completely took care of. My mom hands down had the most impact on all the events from my princess themed sangeet to my masqurade themed reception and off course my wedding planner Priya Khan from Dress My Day helped my mom make her vision into a reality. My dad hand made my stage that was used for the reception, and a lot of other small items that was required to make my wedding exactly how i wanted it. I had him make food stands like how they have in India and it turned out perfect. 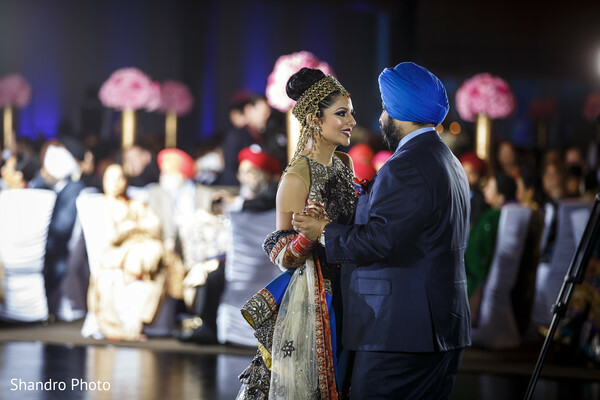 My older brother, Ranjinder, connected me with his friend Dora, who helped me make the dress of my dreams for my sangeet. Also my sister-in-law-to-be Surina helped me with the small details including handwriting of all the signs for the candy station at the reception." "I knew I loved you," by Savage Garden. Harjot was the one that called me up and said I found the perfect song for us. It had come on the radio when he was driving into the city and he called me that second and said this is our song because we did actually fall in love before we met in person." 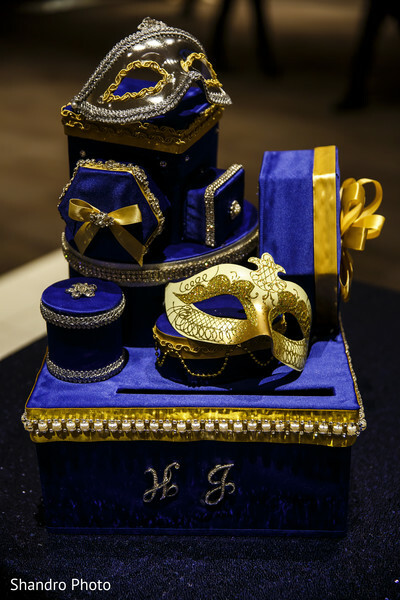 Hope this awesome affair gave you tons of great ideas for your big day! Dolled up by Lulu is a member of the Platinum Guide. Love what you see? Explore their portfolios.